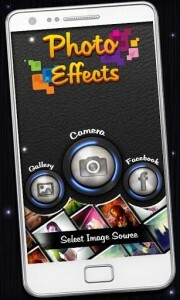 Picture Effects is an application that aims to combine all popular picture effects into one app. This app is perfect if you are using several picture sharing services. It combines all the great features of these services into one app. It’s main function is to serve as a one stop shop for all of you picture needs. It will prevent you from having to edit photos in multiple apps. Picture Effects is designed to work with all of your favorite social networks., Its goal is to create a central place to edit a photo, and then send it off through whichever service you like. The concept is incredibly logical and it can make it incredibly simple to send the same photo through different social networks. As far as editing effects go, it stands pretty well. 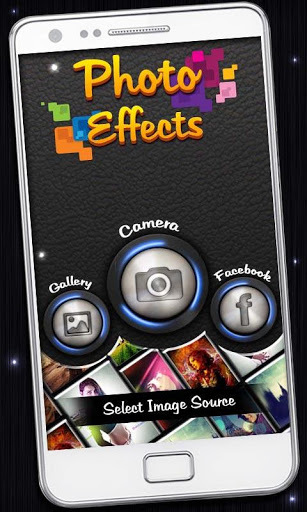 This app will feature over 15 frames that you can use to spice up your photo. It will also offer over 20 different text styles. This gives you a lot of variety to work with. Combine these aspects with the large library of color effects, and you have an excellent environment to edit photos in. Unfortunately, some of the color effects look a little unnatural. This causes the photo to look a little unprofessional Additionally, the app will sometimes come up with spam. Many users are reporting receiving spam in their notification bar directly after installing this app. Overall, this app provides a very useful service if you are into sharing and editing pictures. As a result, you’ll find yourself automatically going to this app with every picture you take. Additionally, the enormous amount of possible combinations make it easy to never create a similar looking photo.